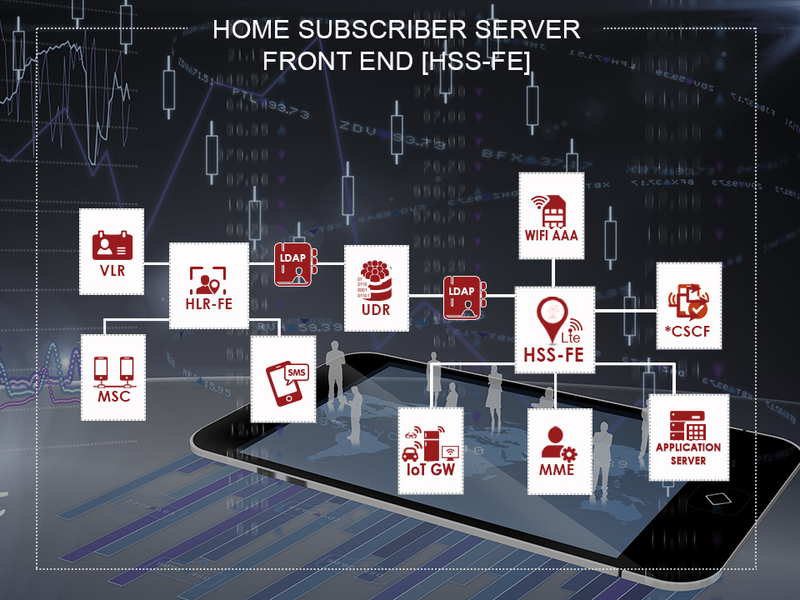 Home Subscriber Server (HSS) Front-end User Data Repository is equivalent function of an HLR (Home Location Register) that integrates new core networks protocols (SIP and Diameter) for 4G-LTe and IMS (IP Multimedia Subsystem). This strategic and central element is necessary to identify and locate the subscribers of the mobile operators and helps them to receive their incoming calls. Ouroboros HSS manages and controls the access to the UDR who handles subscriber information. Ouroboros HSS is a flexible solution due to the User Depository Request (UDR). This function is used to request the user data that belongs to a particular subscriber. After receiving the request, the HSS issues a User Data Answer with the result code and the data itself. This feature enables a total independance from Graphical User Interface and CRM, avoiding expensive data migration processes. UDR is shared with HLR-FE, so there is only one point of provisioning and one database to access for 2G to 4G. HSS solutions include : HLR-FE, HSS-FE and UDR. It is particularly well-suited for deploying M2M or IoT networks . Carrier-grade performant, Ouroboros HSS is cloud deployable and is based on Network functions virtualization (NFV) open standards. This flexible licencing model is essential to be competitive and develop its own network independently. The Ouroboros future-ready HSS complies with 3GPP release 12 and will evolve along with the new telecom standards and protocols without additional costs. # Redundancy : Recommended 2N Setup. # Monitoring : SNMP and HTTP active alarms and counters. # Size : Per node : 400 K subscribers per 10 scalable to several tens of millions. # Highly scalable (can serve from 1,000 to over 50 million subscribers). # Ultra-High Speed / Low Latency HSS on COTS hardware. # Excellent Reliability achieved through carrier grade, industry standard methods. # LDAP access to user data. # 4G AuC integrated with ability to quickly implement new ciphering algorithms on demand.